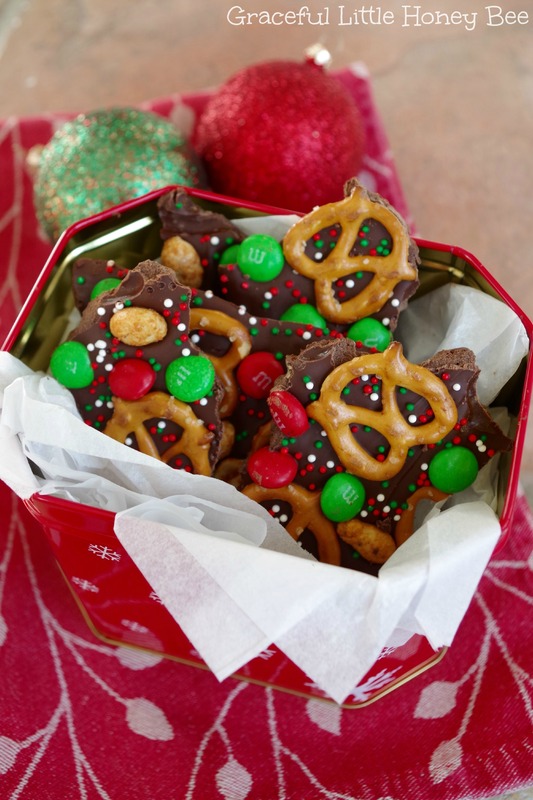 One of my favorite ways to celebrate the Christmas season is by making homemade treats for those that I love. I would much rather bake up a basketful of goodies to give than purchase a store-bought gift. I put a lot of love into my food and that’s why I especially enjoy coming up with new recipes to share with you here. 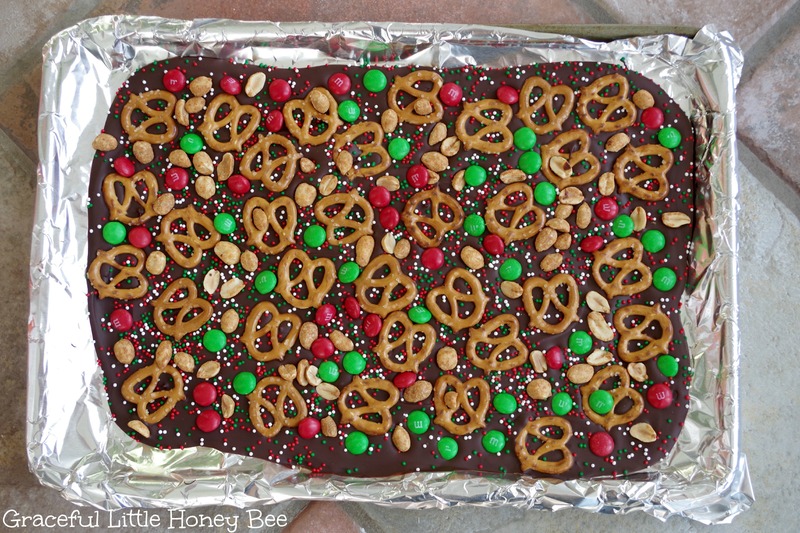 I’ve tried candy making in the past and have failed many times over (i.e burned my finger making microwave peanut brittle and burned my mom’s stove top making homemade taffy), but this has to be the EASIEST candy recipe you will ever make. And isn’t it so pretty??? Feel free to customize the toppings to your tastes. 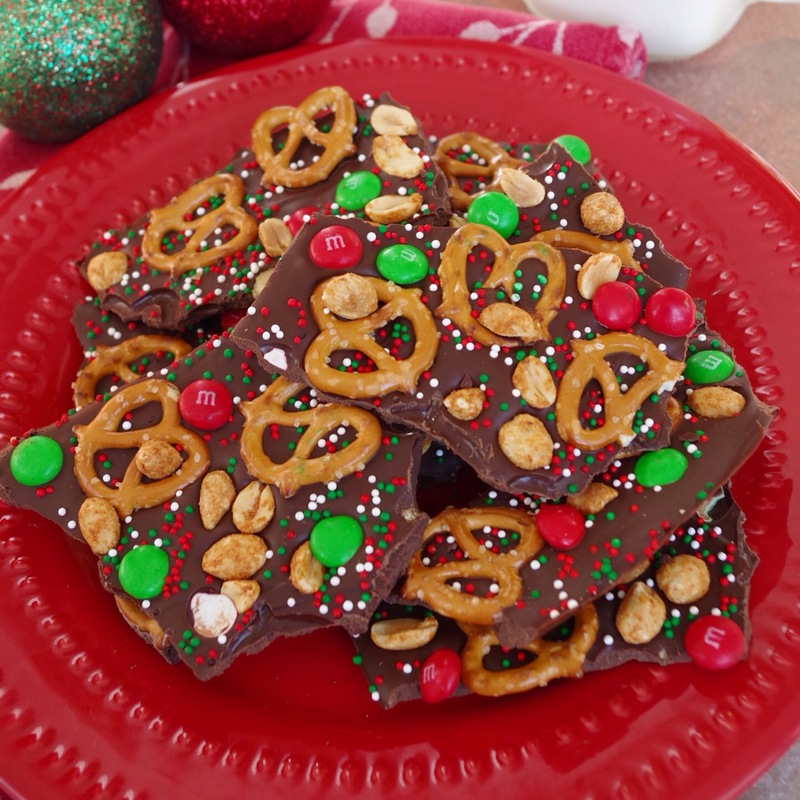 I hope you enjoy making this Easy Christmas Bark to eat or give to family and friends. Merry Christmas! Step 2: When chips are melted, stir in shortening and heat in 10 sec. intervals until smooth. 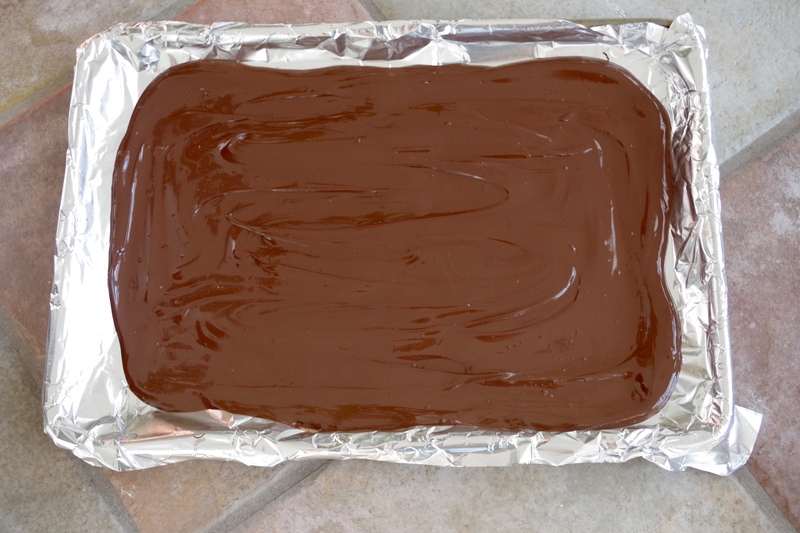 Step 3: Pour chocolate onto a foil lined baking tray. Step 4: Sprinkle with toppings pressing firmly into chocolate as you go. Step 5: Refrigerate 1-2 hours or until firm. Step 6: Remove foil, break into pieces and enjoy! When chips are melted, stir in shortening or coconut oil and heat in 10 sec. intervals until smooth. 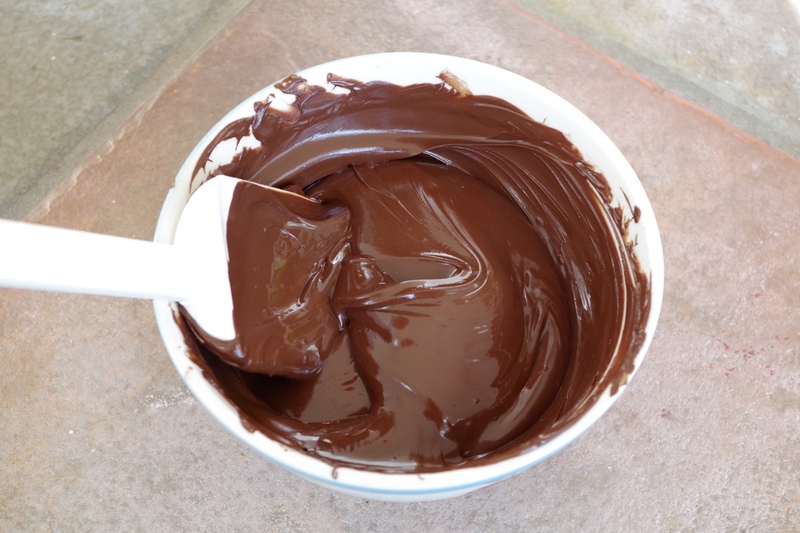 Pour chocolate onto a foil lined baking tray. Sprinkle with toppings pressing firmly into chocolate as you go. Refrigerate 1-2 hours or until firm. Remove foil, break into pieces and enjoy! You may substitute coconut oil for shortening. Be sure to press toppings firmly into chocolate or they will fall out once chocolate is hardened. Would coconut oil work in place of the shortening? Yes, I think coconut oil would work. did the coconut oil work for you? Yes, coconut oil worked great for me! Could I use white chocolate chips instead? What kind of shortening did you use?? Crisco, but I think you can sub. coconut oil too. Could you put saltine crackers down before add the melted chocolate? I believe you could freeze it.